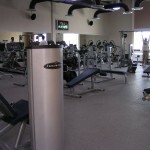 From basic free weights to state-of-the-art facilities, San Carlos Sonora has several options to choose from. There are a number of places where you can play pool in San Carlos, including Poolhouse Sports Bar, Froggy’s, Tequila’s, and Paradise Bar. Entertainment San Carlos & Guaymas (Sonora Mexico): List of live music venues and where to party and dance.